Home » Archive by category "VW Repair"
It is important to stay on top of the maintenance for your Volkswagen. VW has some special needs when it comes to service which is why it’s important to use a specialty shop like Perfection Auto Works. Your VW dashboard computer will notify you of when it’s time to have the maintenance service done. Perfection Auto Works has an online appointment form to schedule your maintenance. We also can schedule your VW repair by telephone – 520-323-8650. 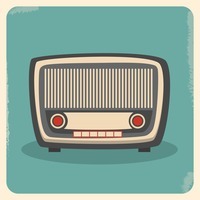 Listen to our EXCELLENT Radio Commercials!